Akroyd Library, just outside Halifax, will reopen on Tuesday 15 August after refurbishment and improvement work. Calderdale Council’s Akroyd Library is within the Bankfield Museum site and has been transformed as part of wider development works to the museum. The library’s Grade II listed shelving has been improved and new flooring has been installed. 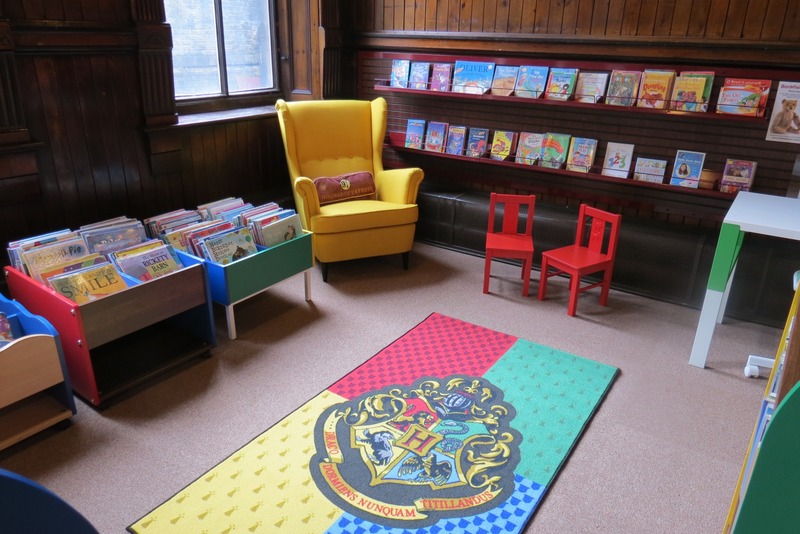 The furniture in the children’s library has also been changed and has been designed to be more in keeping with the heritage surroundings. In addition to the library works, the museum improvements include the creation of a new community gallery as well as the restoration of the historic flooring in the main hall. All of the works are being funded by a grant from Arts Council England Resilience Fund as well as funding from Calderdale Council. “The restoration works at Bankfield Museum and Akroyd Library will retain and repair the historic features of this beautiful building, whilst improving the facilities for visitors. Bankfield Museum’s new community gallery will open on Saturday 7 October 2017 and be called the Link Gallery. The space is being designed so local groups can display exhibitions. The first exhibition will be new work from Halifax Photographic Society about the area of Akroydon, where the library is situated. This will be shown alongside objects from the museum’s collections reflecting the unique histories of Halifax. The historic floor in Bankfield Museum is also being carefully restored. The flooring was installed in 1838, and since the building’s opening as a museum in 1887, thousands of people have walked across the floor – as such it is in need of careful restoration. The newly restored floor is due to be finished in January 2018. This entry was posted in Libraries, Museums. Bookmark the permalink.